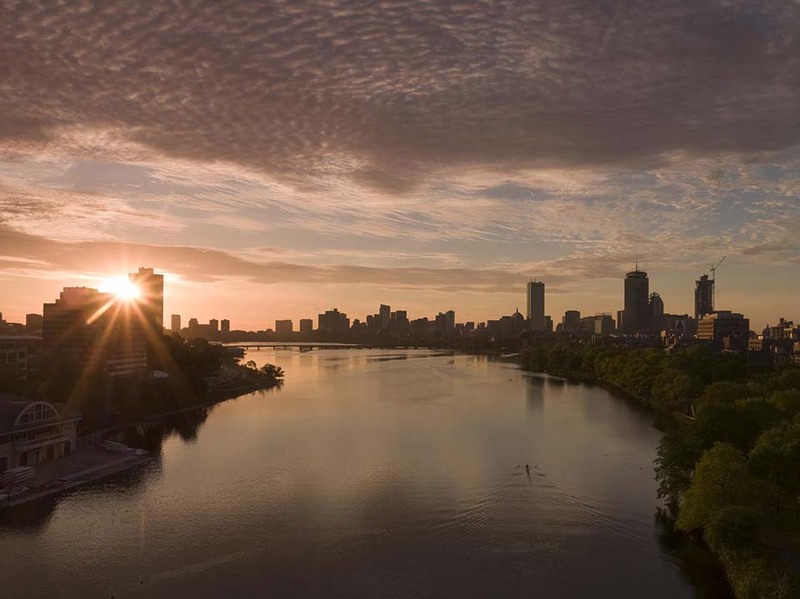 Drone photography in Boston. Great idea, with many limits. A dramatic skyline, beautiful parks, lots of interesting subjects, all under the control of the FAA. Start with Logan Airport, KBOS. 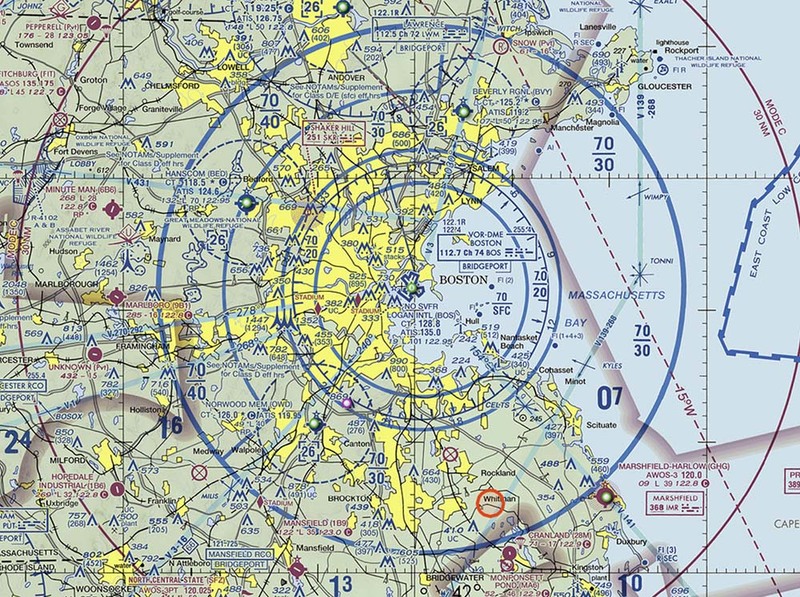 Draw an 8-mile circle around it, marking the limit of the Class B airspace on the ground and up to 7000 ft. All aerial operations inside this circle – drones, helicopters or aircraft – require permission, from the tower or from the FAA. Helicopters and airplanes are allowed above 800 ft, approximately, depending on the tower control. Drones are restricted to 400 ft AGL or below. 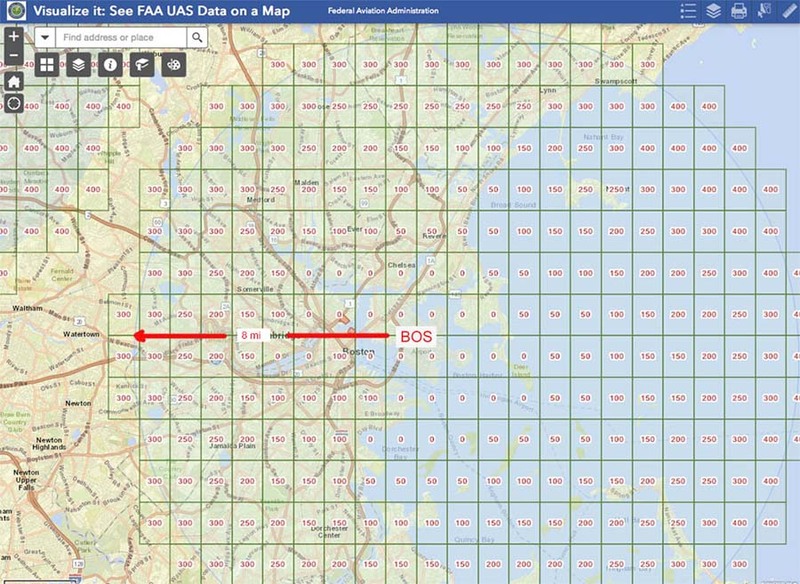 The airspace map looks like this below. You can get these maps at www.skyvector.com. The circle intersects the Charles River at the Watertown arsenal. 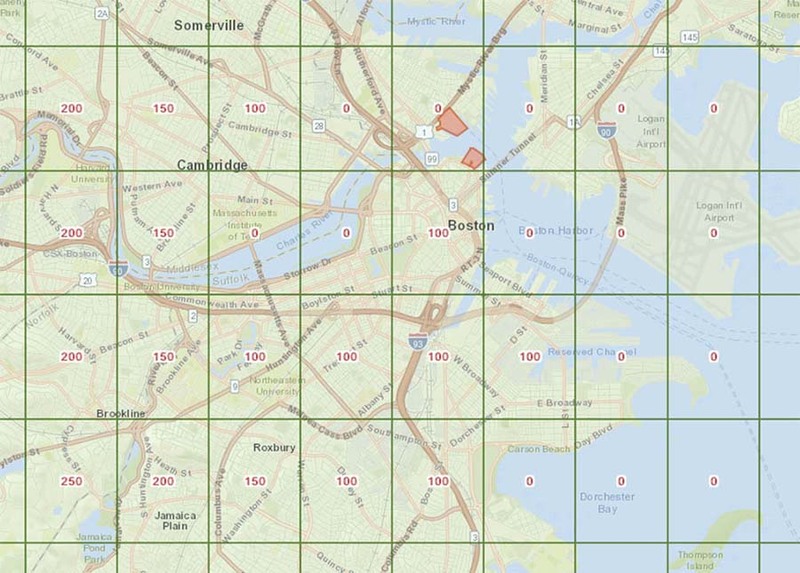 The FAA has recently launched LAANC, an automatic authorization system for drone work. The low altitude airspace is divided into squares, and each square has an altitude which can be requested. The area nearest Logan, and nearest to the arrival and departure runways paths is marked “0” meaning No-Fly. Most of the other squares are 50 to 400 ft allowed. Note you can fly your drone 150 ft over the BU Bridge, and 100 ft over much of the South End. Next, yuo need the FAA authorization. Get this via the Airmap APP, which allows you to submit real-time requests and get prompt authorizations within the grid parameters. It usually works, but sometimes not. It will say “authorized, fly with 107 rules.” There are many rules in part 107, including 30 mins before sunrise, 30 mins after sunset, not at night, Visual Line of Sight, and Not over People. Here is a drone photo taken in this way, with the LAANC authorization near BU Bridge. FAA 107 rules apply to ALL drone operations. A commercial pilot MUST take the 107 test and MUST have the license. An amateur pilot (no sales, no clients) can fly with the same rules, without taking the test. There are many training programs for the 107 test, and more than 100,000 people have passed. You can get insurance on a per-flight basis from the Verifly APP. Most of the ground is restricted by private property laws and by local city laws. For example, all of Harvard University is NO FLY. All of the City parks and the DCR parks are NO FLY. Here the enforcement is quite uneven. Franklin Park, for example, seems OK early in the morning, when few people are around. I like to fly very early in the morning on sundays. Don’t be surprised if a policeman asks you to stop.